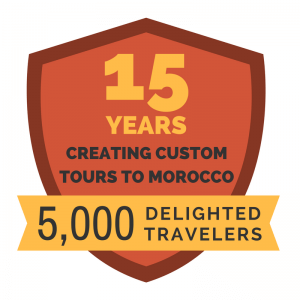 We want to share with you how amazing and memorable our experience in Morocco has been, primarily due to our wonderful driver Si Mohamed Alaoui. 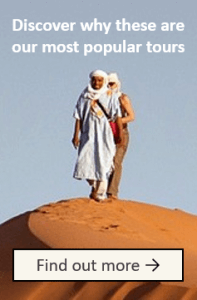 This was our first visit to Morocco and given the great time we have had, it will likely not be our last. Witnessing the historic imperial city of Fez in action was eye-opening, riding camels in the beautiful Saharan Dunes was breathe-taking, the ancient Roman city of Volubilis was unbelievable and everything that Mohamed helped arrange in between really made this the best vacation we’ve ever had. The riads/hotels were all very comfortable and friendly, attending to all of our needs and serving delicious food. For the most part, the local guides were very knowledgeable and gave us a thorough historical background on the sites we visited. We really can’t stress enough how wonderful our driver Mohamed has been. He is personable, intelligent, and knowledgeable, skills that made him an excellent liaison for our Experience It tour. He speaks English very well and was able to provide detailed answers to our every question along the way. He took extremely good care of us doing everything from helping us communicate, waking up early to get medicine for us when we were sick, to helping us find the perfect locations for every specific experience we requested. 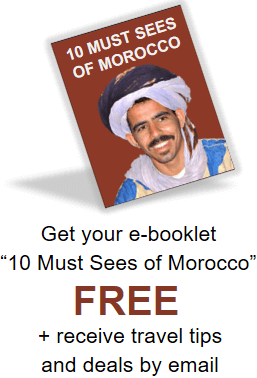 He made us feel safe and in good hands for the duration of our stay in Morocco and his driving was impeccable to boot. Overall, we very much enjoyed the vacation your agency arranged for us and will definitely recommend it to our friends and family.